Morro Bay North Embarcadero Waterfront (NEW) Futures Committee "New Futures Committee"
GET INVOLVED! Join the new-futures Yahoo! Group - Citizen input on the future use of the Morro Bay power plant site. The way to get involved is to Join or Subscribe to the "new-futures" Yahoo! Group - this is a PUBLIC open forum where you can ask any questions, get fast answers, contest other points of view, and interact with all committee members and interested members of the public. This is a fast-paced non-bureaucratic forum where ideas are freely exchanged and exposed in public - just like in a town hall meeting but without the delays, limitations on speaking time or turns, or the need to assemble in person all at the same time. Go to http://groups.yahoo.com/group/new-futures/ or click one of the options below. "Joining" gives you more rights than "subscribing," and requires registering for a free Yahoo! ID. To post to the group send an e-mail to new-futures@yahoogroups.com - content is not censored, but all posts are moderated to prevent spam and off-topic posts. Get help on using Yahoo! Groups. morro-bay.ca.us Morro Bay City Govt. April 2007! mbviews.org - Vision Morro Bay Citizens' Group - "Our primary desire is to have balance between the property rights of the individual who wants to build a house, and the property rights of the rest of the community." Rock Harbor Christian Fellowship of Morro Bay "New Life - New Hope - New Friends - New Future"
Take the "Trolley" $0.25, or $1.00 day pass - seasonal... practical way to get around. Two routes. Route map. Schedule. Animal Services Division Lost Pet Info. Volunteer to Walk Dogs, etc. Woods Humane Society of San Luis Obispo Adopt a pet here! MoveOn.org Democracy in Action -- An illustration of the power of the Internet. 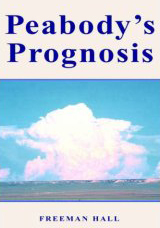 Everyone should know about this site, regardless of which side of the issues you are on. Double Luck: Memoirs of a Chinese Orphan by Lu Chi Fa. Lu Chi Fa, the owner of The Coffee Pot Restaurant in Morro Bay, California, looks back on a life that reflects China's tumultuous recent history, from wars and famine to Chairman Mao's Cultural Revolution. Orphaned at three, Chi Fa grows up amid hardships that will be scarcely imaginable to American readers. "Chi Fa, you are lucky. Good fortune will find you," his beloved Sister tells him when, yielding to her husband, she abandons him on another sibling's doorstep. The boy is shunted among his relatives, sold to strangers and eventually rescued from them by Sister; he is beaten, starved and forced to beg. At 12, he survives a dangerous trek to freedom in Hong Kong, where an elderly man to whom he gives food fuels his dreams of emigrating to America ("In America people eat three times a day. In America they are too full to swallow sorrow"), a dream he finally realizes at 20. More at double-luck.org. The Internet exposes all. Visit Fundrace.org and see everyone in Morro Bay who made a political contribution, the amount, and to whom. Richard Boult's slopages.com is a non-profit community site for SLO County. 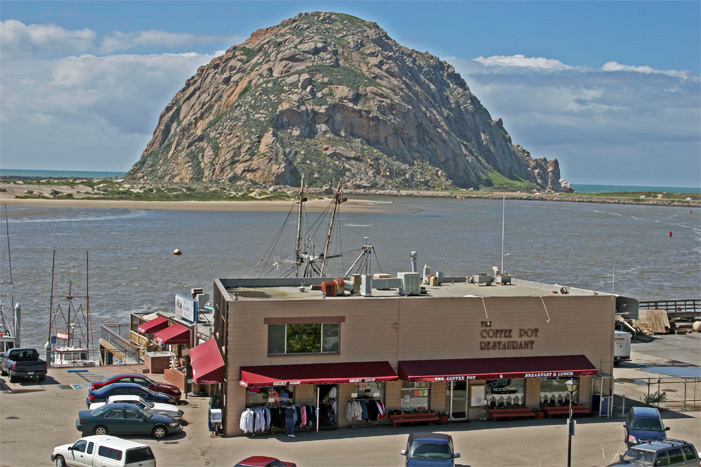 Free wireless Internet access can be had in Morro Bay at or near any of these establishments: 2 Dogs Coffee Shops and Internet Cafes (map), Twin Dolphin Inn (map1 map2), The Embarcadero Inn (map), and The Flying Dutchman (very strong signal, from DigitalPutty?) (map1 map2) (more, more, more info...). Other open hotspots are The Bay View Inn (map) (park on Market Street) and Blue Sail Inn (map) (has multiple WAPs for high-speed DSL). SLO County directory at www.slopages.com/information/wifihotspots.asp. The Morro Bay Library has wireless Internet access as of 3-16-06. Central California Joint Cable Fisheries Liaison Committee - A website dedicated to the Central Coast's commercial fishing industry. You'll find information about upcoming meetings, cable locations and the safety program, as well as valuable links and downloadable files you can read and print. Live Ships map - Click on flags representing commercial boats and this site will tell you all about the boat - including where it is from, where it is going, its size and type, etc. In a major disaster, it might be several days before vital services are restored. Imagine that you have no electricity, no gas, no water and no telephone service. Imagine that all the businesses are closed and you are without any kind of emergency services. What will you do until help arrives? San Francisco's 72hours.org disaster planning resource provides Morro Bay residents with excellent advise as well... e.g., Build a Kit, Make a Plan ... FOXNews.com article on "Preparing Your Family for Disaster." City of SLO Plans Year-Long Celebration of 150th Birthday! In 1856, a dusty mission town on California's Central Coast was incorporated. Today, the City of San Luis Obispo serves as the commercial, governmental and cultural hub of San Luis Obispo County. To celebrate the 150-year anniversary, or Sesquicentennial, a group of local leaders is joining with City staff to plan a 10-month celebration in 2006, culminating in a grand event planned for October. For more information on the Sesquicentennial or to participate in the celebration, contact Betsy Kiser at (805) 781-7123. Got E-waste? Donate used computers to Central Coast Exploration Station Computers for Youth Program. The program mission is to collect, repair, and distribute older technology computers to low income families and non-profit organizations. http://www.kcbx.net/~estation/computers.html -- located in Grover Beach (805) 473 3486 or (805) 473-1421. Local e-waste disposal & re-cycling options. Morro Bay residents can drop off computer monitors and televisions sets at Morro Bay Household Hazardous Waste (HHW) Facility Located at the Morro Bay Waste Water Plant, 160 Atascadero Road, Morro Bay. Or, Call you garbage company to arrange for a pickup of your computer monitor or television set. affect whether a county should build a public works project. See freeman.morro-bay.com 5-star Amazon rating.